Kennywood Park and the Pittsburgh Steelers are proud to introduce The Steel Curtain! At a maximum height of 220 feet, the colossal steel structure of the coaster will serve as a landmark addition to the park and a high-energy entry point welcoming guests to Steelers Country. The American Ladder Institute was founded in 1947 and has evolved to fit the needs of the membership and industry. The American Ladder Institute (ALI) is a not-for-profit association dedicated to promoting safe ladder use. ALI is the American National Standards Institute (ANSI) approved developer of ladder safety Standards. Standards are technical specifications, developed and tested by subject experts, which prescribe rules governing the safety construction, design, testing, care and use of various types of ladders. Ladders are built from one of three basic materials; wood, fiberglass and metal (aluminum). The environment of the work site is the first factor in choosing the material from which the ladder is constructed. If you are working near sources of electricity, a metal ladder should be rejected since aluminum is an electrical conductor. If there are no electrical power sources in the work area, the aluminum ladder is the lightest weight when compared to fiberglass or wood. Will the ladder be resting on an uneven surface? Is the work area crowded with people and/or materials? Safety standards require a label on the ladder to indicate the highest standing level. The proper ladder length must be selected. It is unsafe to use a ladder that is too long or too short. Step Ladders: standing on the top cap or the step below the top cap is not permitted due to the increased likelihood of loss of balance. Straight Ladders: are too long, if ceiling height prohibits the ladder from being set-up at the proper angle. Extension Ladders: the top three rungs are not to be used for climbing. If the ladder extends more than three (3) feet beyond the upper support point. In this case, the portion of the ladder that extends above the upper support point can act like a lever and cause the base of the ladder to move or slide out. Duty Rating of the ladder: This is an indication of the maximum weight capacity the ladder can safely carry. This information can be found on the specifications label. Safety standards require a Duty Rating sticker to be placed on the side of every ladder. Do not assume that a longer ladder has a higher weight capacity. There is no relationship between ladder length and weight capacity. The work environment, including the physical size restrictions, is probably the most important factor in determining the variation of ladder to use for a given job. The versatility of the ladder, is a major consideration, especially for domestic use. 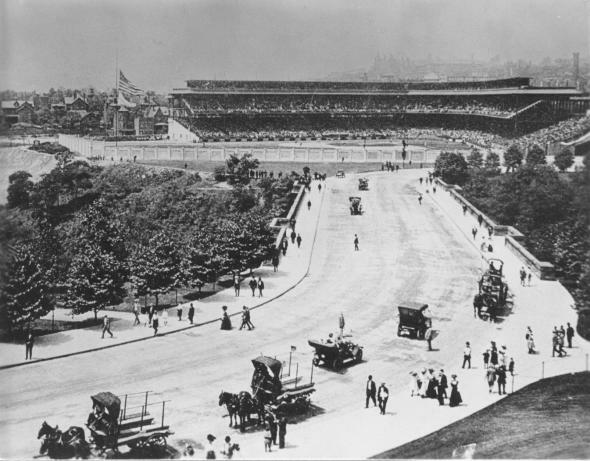 Exposition Park was the name given to three historic stadiums, located in what is today Pittsburgh, Pennsylvania. The fields were used mainly for professional baseball and American football from c. 1879 to c. 1915. 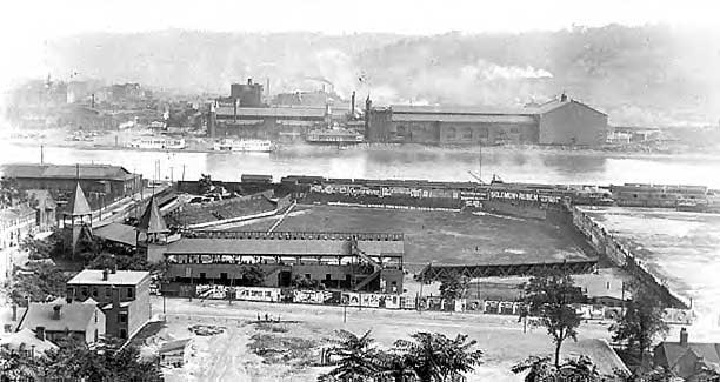 Along the banks of the Allegheny River baseball has been played at multiple ballparks dating to the 1880s. In 1882 the Pittsburgh Alleghenys were established as members of American Association baseball league where they played at the first Exposition Park. A flood and fire destroyed this ballpark and a new Exposition Park was constructed upriver. The following season they moved to Recreation Park, a 17,000 seat ballpark. In 1890 the Pittsburgh Burghers were formed, joining the Players League. They built a new Exposition Park in an area today between Heinz Field and PNC Park. This ballpark featured a covered wooden grandstand with seating for 16,000 fans. Wrought Iron & Ornamental Iron are two very different classifications of a very similar style of fence. The biggest difference between these two types of fences is the material they are made from. While both iron and steel are heat treated by fire to increase their strength, the formation processes they undergo are different. Wrought Iron fences are made from the raw element of iron, that heats the iron to red hot temperatures. and charcoal firing is used. Iron is a naturally occurring standalone substance that can be harvested from the earth. 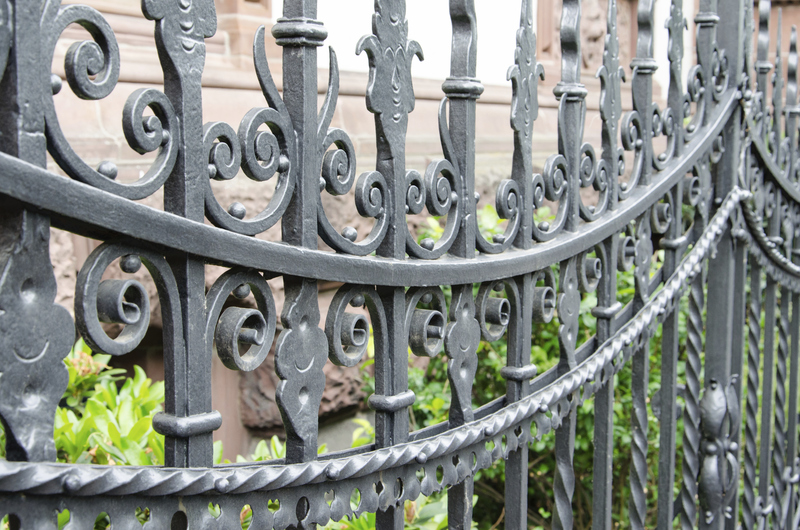 Refined, professional workmanship is more common in wrought iron fences and will bend under extreme heat and does not dent, dimple, or collapse. Most every wrought iron fence is custom made but Genuine wrought iron is solid and shaped by a blacksmith or master craftsmen and take time to produce and are usually custom created as needed, made to order. Genuine” iron fences have not been commercially available since steel was popularized. However, you can still find the pieces needed to create a wrought iron fence, but rarely, if at all, will you find a true wrought iron fence manufacturer. Ornamental iron fences are actually made from steel and is formed by machinery and then welded into a final shape. Most ornamental iron fences are machine made. They can be manufactured in large quantities and bought/sold in bulk. This creates a more affordable product that is easier to work with, but still displays similar properties to that of genuine wrought iron. Because decorative fences made from ornamental iron are usually mass produced, they have a more uniform look than their handcrafted counterparts and is more easily dented, dimpled, or bent. easy to repair, match, or extend. Excavator pins are usually made of a AISI 4130 or 4140 steel. The AISI 4000 series of steels are chromium molybdenum steels. Chromium improves corrosion resistance and its ability to be hardened while molybdenum increases strength and harden ability. The steel used will most likely have been heat treated using induction hardening. This heat treatment processes produces a hardened surface (58 to 63 Rockwell C) for wear resistance with a ductile interior for toughness. The bucket sides and cutting edge are usually made of AR steel plate. The most popular grades are AR360 and AR400. AR 360 is a medium carbon, low alloy steel that is heat treated to provide excellent abrasion resistance and high impact strength. AR 400 has also been heat treated but it provides abrasion resistance and superior yield strength. Both of these steels have been carefully quenched and tempered to product qualities that are key to a good bucket. The bucket shell is often made of ASTM A572 Grade 50, a high strength, low alloy steel. This steel is alloyed with columbium and vanadium. Vanadium helps with maintaining the toughness of the steel. There are two ways of manufacturing bucket teeth: casting and forging. Cast bucket teeth may be made of a low alloy steel with nickel and molybdenum as the primary alloying elements. Molybdenum improves the hardenability and strength of the steel and can also help minimize some forms of pitting corrosion. Nickel increases strength, toughness, and also helps prevent corrosion. Forged bucket teeth are also made from a heat-treated alloy steel, but the type of steel varies with manufacturer. The heat treatment improves wear properties and increases impact strength. Excavator equipment is powered by diesel. Diesel offers the ultimate in horsepower to allow maximum efficiency. Fueling excavator parts in this way is much more reliable than using other products, as diesel can withstand the rigorous of major works. The operator of the excavator uses pedals and levers to steer the equipment, and to move backwards and forwards. Tracks, similar to tank tracks, are activated by the diesel powered engine, and hydraulic motors control the arm of the excavator. The arm of equipment is incorporated into the lower frame chassis. It is composed of three hydraulic pistons that operate in tandem with steel piston arms. The two main sections and bucket loader are connected by means of a hinge. The extension of the first piston widens the section at the same time as increases in girth, providing further reach for the operator. The third piston activates the bucket loader, enabling the collection of debris into the bucket. Excavator buckets function with specially designed excavator teeth. The excavator attachments require fixed tracks in order to function. The tracks are operated by means of manipulating gears that are fused with the engine. Use of the gears allows the hydraulic excavator to move backwards and forwards. Turning the machine involves replacing one track with another. More complex pieces of equipment involve manipulating more than one track at the same time. Metal roofing begins as a metal coil or sheet, it has the ability to be formed and cut into many different shapes, sizes, and lengths. Also, variety, along with the durability, variety of colors, and eco-friendly qualities. Like structural applications, barns and other agricultural buildings are common uses for metal roofing (especially lap seam or exposed fastener panels). Structural metal roofing, is when metal panels are installed over open framing or on structures that span long lengths and are attached directly to the frame or purlins (additional support beams added to the roof frame). A seam on a metal roof is the side rib at which two metal panels come together and are connected. Seams are formed using a roll former and are then snapped together or mechanically seamed together. Snap-lock – Metal roofing panels that have been carefully roll formed with specific panel profile edges that snap together and require no hand or mechanical seaming during installation. Mechanical Seam – Mechanically seamed panels are also roll formed with specific edges that line up with each other on the roof. Once the two edges are put together, a hand or mechanical seamer is used to bend the edges and lock the panels together. Tee Panel – A type of standing seam where two panel edges come together and are connected at the top by a cap, mechanically seamed in place to lock the panels together. Rib rollers are the “patterns” or striations roll formed into a metal roofing panel between the seams. These can be used to assist with the installation of a metal roof. UNDERLAYMENT – Underlayment is the layer of material that goes underneath the metal panels and provides protection from water and moisture, ice, high temperature, and vapors. Underlayment is generally installed mechanically or self-adhered with a glue backing on the roof deck. Common materials are felt, synthetic (polypropylene or polyethylene), and fully-adhered peel and stick. This illustration highlights the important parts and components of a roofing structure. Metal roofs are made from corrugated galvanized steel, a steel sheet coated with zinc. Copper, aluminum, stainless steel, and tin are also used in commercial metal roof applications. Coatings can be applied to provide additional waterproofing, anti-rust, and UV protection. These are usually painted or stone-coated steel. Stone coated steel roofing panels are made from zinc/aluminium-coated steel with an acrylic gel coating. 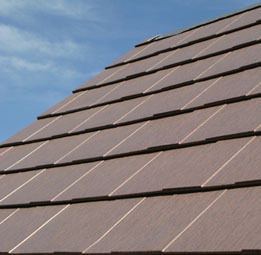 It is usually roll-formed into standing seam profiles for roofing, individual shingles are also available. Metal roofing is specifically engineered to last decades longer than any other roofing material. Depending upon the type of metal material used, most metal roofs last 60+ years without any signs of degradation or corrosion. Also, metal roof materials are often Class A fire-rated and noncombustible, its fire resistance is the highest grade possible. Standing Seam – Standing seam metal roofing refers to metal panels interlocked together at the edges to form a seam, which stands vertically. A true standing seam system uses the concealed fastener method of installation, meaning the clips and fasteners are hidden beneath the surface. Standing seam roofing is considered the superior and the better-protected choice when compared to exposed fastener metal roofing. Copper – Extremely long-lasting, very soft with low melting temperature. Aluminum – Long-lasting, resistant to salt water corrosion. Zinc – Extremely long-lasting, resistant to corrosion and lowest melting point. Steel – Three variations: galvanized, galvalume, and weathering steel (corten). The maintenance on a metal roof is generally minimal, especially if the roof was correctly installed. A concealed fastener roof will generally need little maintenance than an exposed fastener metal roof. Metal roofing is the more eco-friendly, recyclable option in the roofing industry. Always make sure to specify that you would like recycled materials used before installation. Second, there are even some metal roofing materials, including aluminum, that are made of already-recycled metal. Nearly 95% of all aluminum roofing is made up of recycled materials. Third, many metals, like zinc and copper, are found in the environment or in the Earth’s crust, which means they can be naturally replenished and sustained over time. Make sure to specify ahead of construction and installation that recycled content is important. Foundations should not be used where the groundwater table is above the bearing surface of the soil. Use of foundation in such conditions may lead to scour and liquefaction. Individual footing or an isolated footing is the most common type of foundation used for building construction. This foundation is constructed for single column and also called as pad foundation. The shape of individual footing is square or rectangle and is used when loads from structure is carried by the columns. 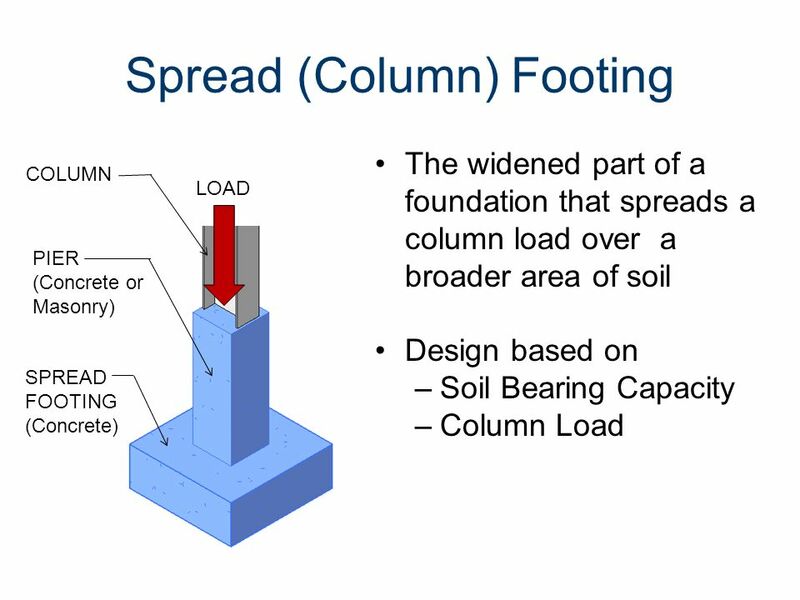 Size is calculated based on the load on the column and safe bearing capacity of soil. Rectangular isolated footing is selected when the foundation experiences moments due to eccentricity of loads or due to horizontal forces. Combined footing is constructed when two or more columns are close enough and their isolated footings overlap each other. It is a combination of isolated footings, but their structural design differs. The shape of this footing is rectangle and is used when loads from structure is carried by the columns. Spread footings are those whose base is more wider than a typical load bearing wall foundations. The wider base of this footing type spreads the weight from the building structure over more area and provides better stability. Spread footings and wall footings are used for individual columns, walls and bridge piers where the bearing soil layer is within 10 feet from the ground surface. Soil bearing capacity must be sufficient to support the weight of the structure over the base area of the structure. Raft or mat foundations are the types of foundation which are spread across the entire area of the building to support heavy structural loads from columns and walls. The use of mat foundation is for columns and walls foundations where the loads from structure on columns and walls are very high. This is used to prevent differential settlement of individual footings. It is suitable for expansive soils whose bearing capacity is less for suitability of spread footings and wall footings. Raft foundation is economical when one-half area of the structure is covered with individual footings and wall footings are provided. Pile foundation is a type of deep foundation which is used to transfer heavy loads from the structure to a hard rock strata much deep below the ground level. Pile foundations are used to transfer heavy loads of structures through columns to hard soil strata which is much below ground level where shallow foundations such as spread footings and mat footings cannot be used. This is also used to prevent uplift of structure due to lateral loads such as earthquake and wind forces. Pile foundations are generally used for soils where soil conditions near the ground surface is not suitable for heavy loads. The depth of hard rock strata is 15 feet to 150 feet deep from the ground surface. Pile foundation resists the loads from structure by skin friction and by end bearing. Use of pile foundations also prevents differential settlement of foundations. Drilled shafts, also called as caissons, is a type of deep foundation and has action similar to pile foundations discussed above, are high capacity cast-in-situ foundations. It resists loads from structure through shaft resistance, toe resistance and /or combination of both of these. The construction of drilled shafts or caissons are done using an auger. Drilled shafts can transfer column loads larger than pile foundations. It is used where depth of hard strata below ground level is location within 25 feet to 300 feet. Drilled shafts or caisson foundation is not suitable when deep deposits of soft clay and loose, water-bearing granular soils exists. It is also not suitable for soils where caving formations are difficult to stabilize, soils made up of boulders. Steel framing is used in most office and commercial construction, and it has several advantages over wood. 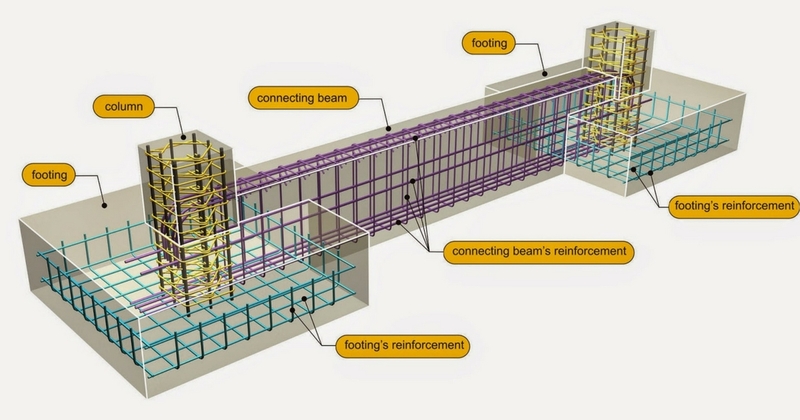 Steel studs are perfectly straight, and they don’t shrink, split, rot, or mold. They are also easy to store. 1 stud per every 12 inches (300 mm) of linear wall space. Steel plates for the bottom and top of the wall by measuring the linear feet of the wall and doubling it. Add an additional stud for each side of a window or door. To use a laser level, simply place it in the bottom middle of the track and turn it on to shine a vertical laser up to your wall. This point will be your plumb point on the upper wall. Once plumb is established, attach the track to the upper ceiling drill and screw gun to the attach the track. Trim to correct length, cut both side flanges of a steel stud straight-cut aviation snips for this. Bend one flange up, clear of the snips’ jaws, and cut across the stud’s web. Keep all the keyhole knockouts aligned by cutting all studs to length from the same end. Protect your hands with heavy-duty gloves. Cut the studs with aviation snips easier by first scoring the studs with a utility knife on both sides and then bending the stud back and forth until it breaks apart. Join studs to tracks by clamping the two members tightly with C-clamp locking pliers at medium speed drive a 1/2 inch (1.2 cm) avoid stripping the screw hole drive the joint.pan-head screw in the middle where they meet. Add wood blocking as needed for doors, windows and cabinets. If the steel stud wall seems flimsy, keep in mind that it gains full rigidity once drywall or sheathing is applied. Check the local codes. They may require screws placed closer together, better off having too many than having to add more after an inspector comes. Finished the new metal studs won’t rot, sag, or be susceptible to fire.